Precisely Ingredients: Shades 1, 6 - Ingredients: Stearic Acid, Talc, Rhus Succedanea Fruit Wax, Hydrogenated Castor Oil, Cera Alba (Beeswax), Cera Microcristallina (Microcrystalline Wax), Paraffinum Liquidum (Mineral Oil), Hydrogenated Coconut Oil, Hydrogenated Palm Kernel Oil, Aluminum Hydroxide, Hydrogenated Palm Oil, Tocopherol, Lecithin, Bht. [+/-: Ci 19140 (Yellow 5, Yellow 5 Lake), Ci 42090 (Blue 1 Lake), Ci 77007 (Ultramarines), Ci 77163 (Bismuth Oxychloride), Ci 77288 (Chromium Oxide Greens), Ci 77289 (Chromium Hydroxide Green), Ci 77491, Ci 77492, Ci 77499 (Iron Oxides), Ci 77510 (Ferric Ferrocyanide, Ferric Ammonium Ferrocyanide), Ci 77742 (Manganese Violet), Ci 77891 (Titanium Dioxide)]. N 09838/A"
Raise a brow. Raise your voice. 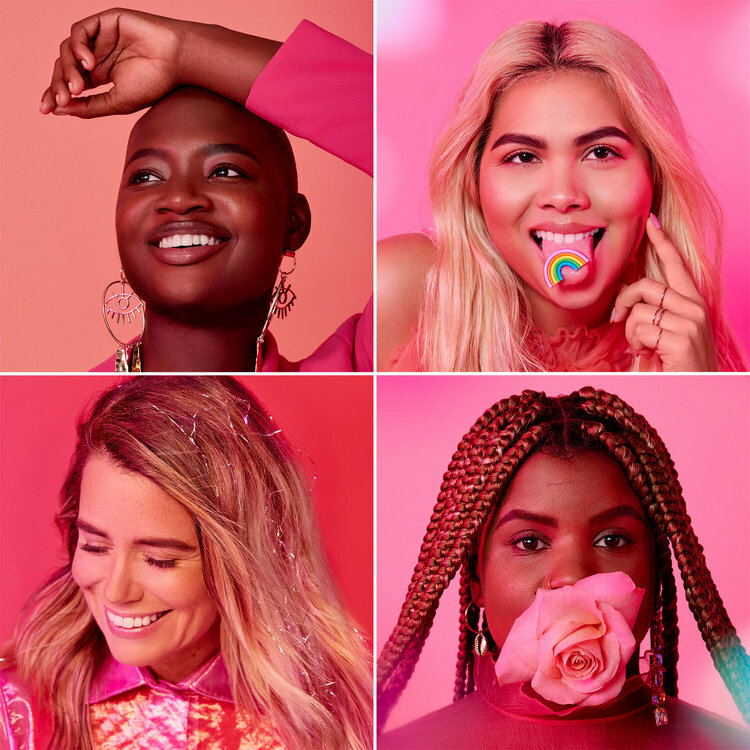 As a company founded by two bold & empowered women, we wanted the chance to celebrate our roots. At Benefit, we stand for more than just makeup, so we partnered with four confident & inspiring BOSSES who are using their voices in unique ways to raise up others & fight for what they believe in. 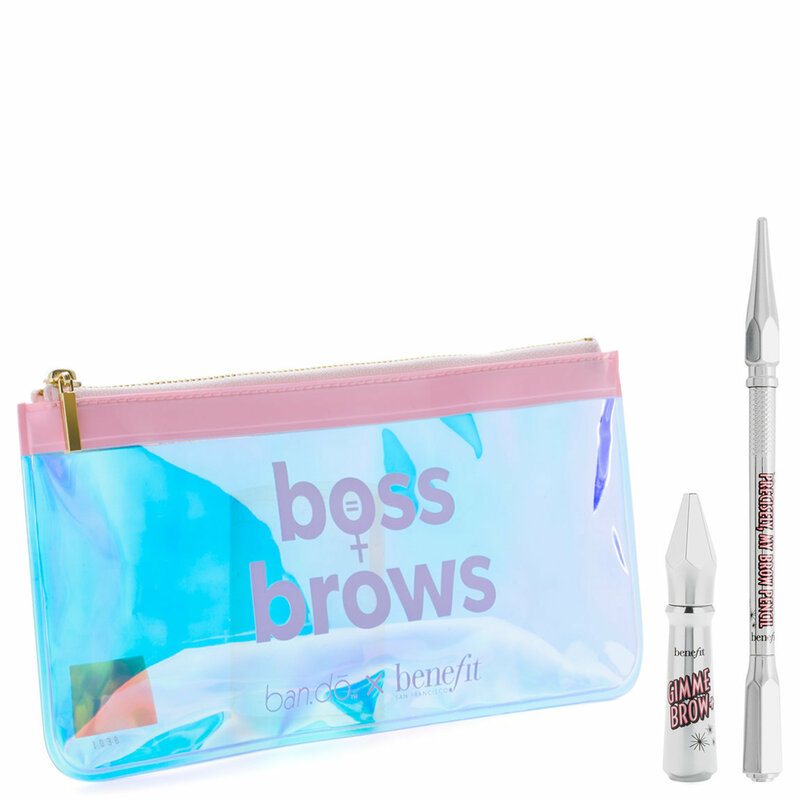 Meet Boss Brows, Baby — Benefit’s limited-edition brow gel & pencil set with two FULL-SIZE, bestselling brow products... so everyone can be a brow boss! Get fuller-looking brows with cult-favorite gimme brow+ volumizing eyebrow gel and add definition with precisely, my brow pencil waterproof, 12-hour long-wearing, ultra-fine shape & define pencil that draws natural-looking, hair-like strokes. Comes complete with a custom Boss Brows ban.do makeup bag. Ban.Do Makeup Bag: Exclusive holographic zipper makeup bag. Precisely, My Brow Pencil: Stroke, in short, upward motions from arch to end of brows to draw natural-looking, hair-like strokes. Gimme Brow+ Volumizing Eyebrow Gel: Then, brush eyebrow gel upwards through brows for added fullness. Wear products alone, or layer them together.